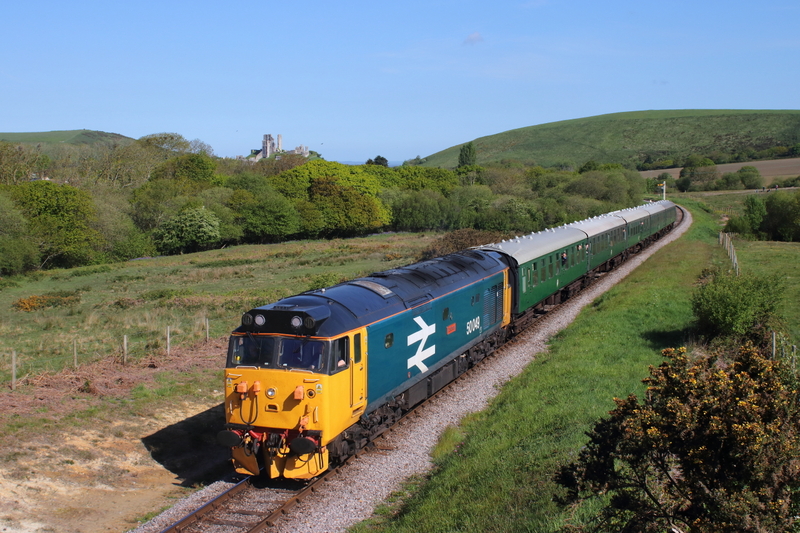 50007+50049 Penzance to Tame Parkway ,the return Mazey Day Cornishman tour. 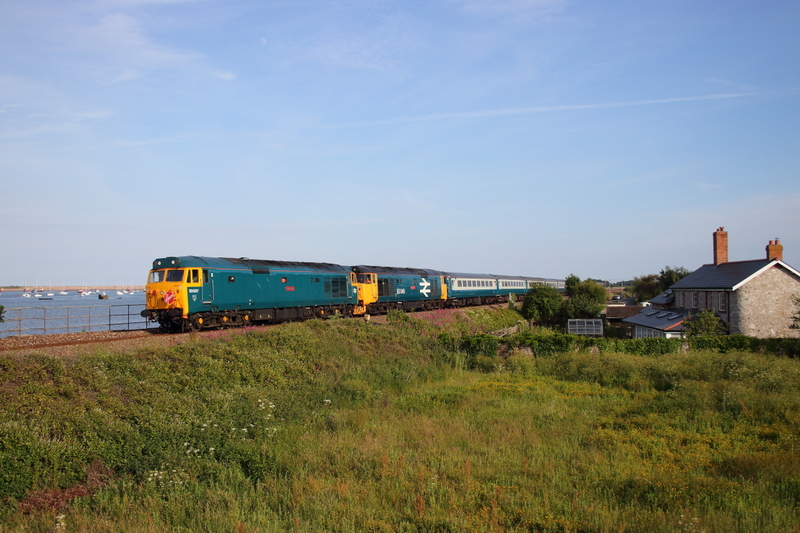 50011 (50049) +50006(50007) 1Z50 05.40 Tame Bridge Parkway to Penzance,Mazey day Cornishman tour. 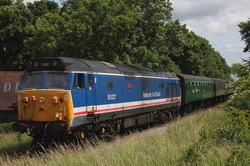 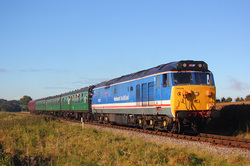 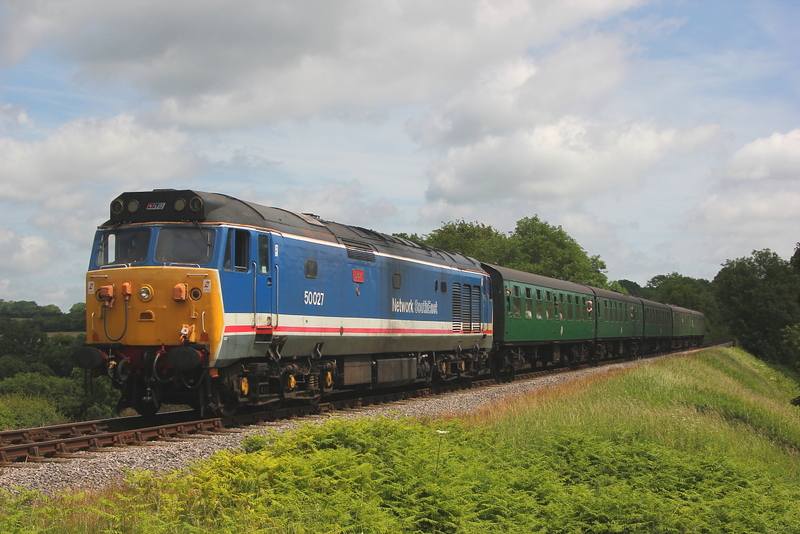 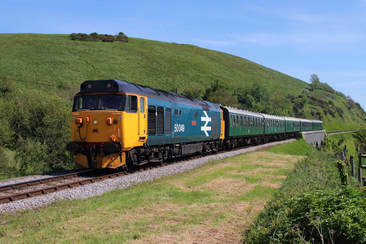 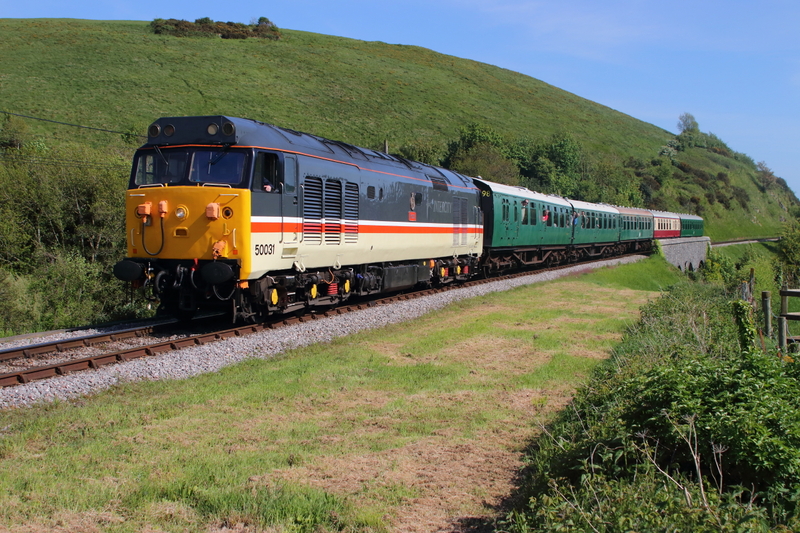 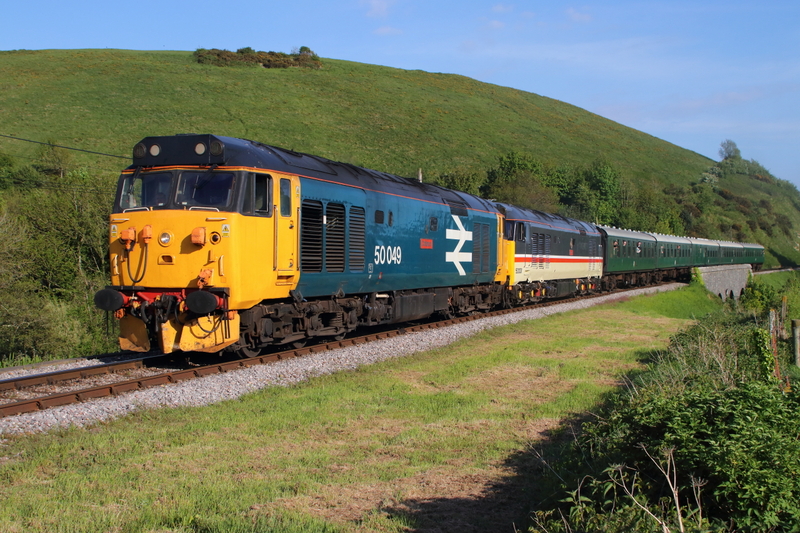 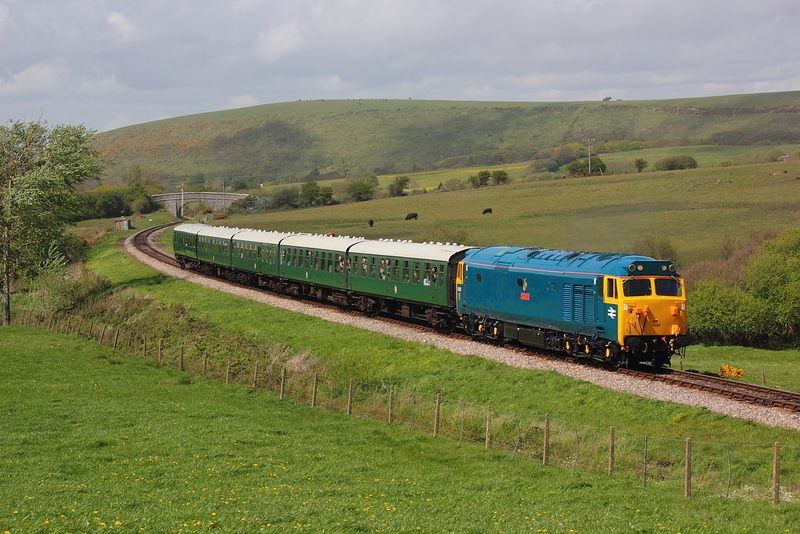 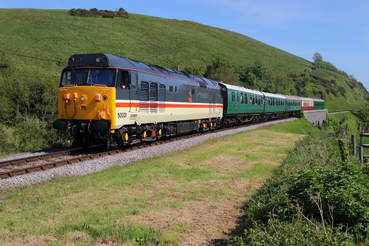 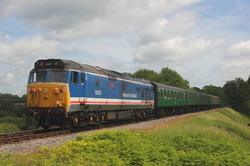 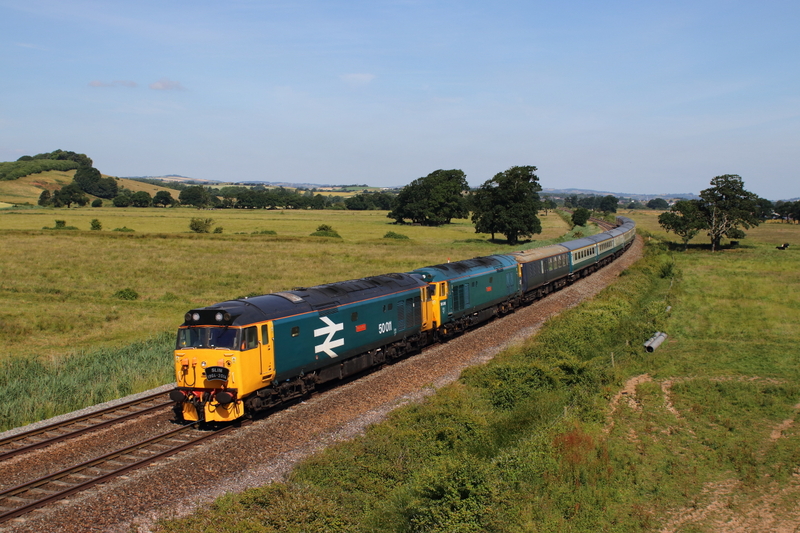 ​ 50049Defiance"+ 50031" Hood" 2N26 17.31 Swanage to Norden. 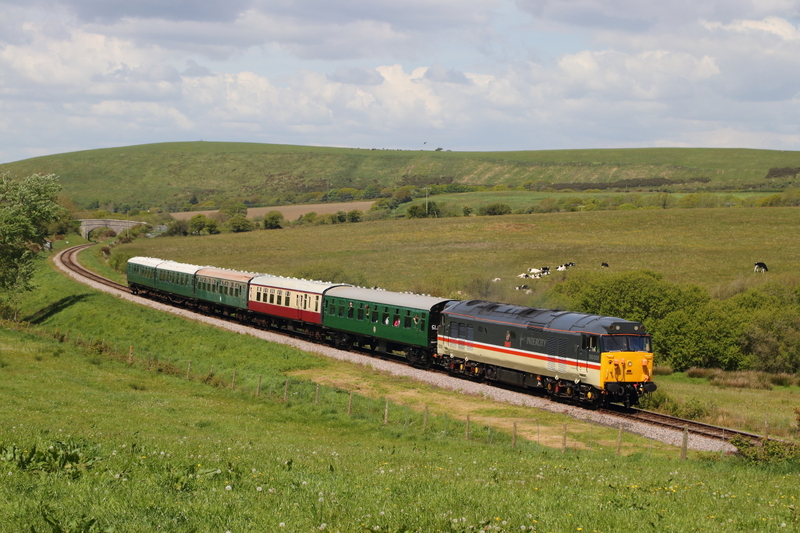 ​ 50031"Hood" 1N10 15.46 Swanage to Norden. 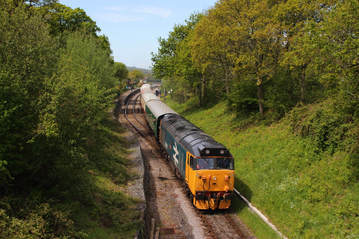 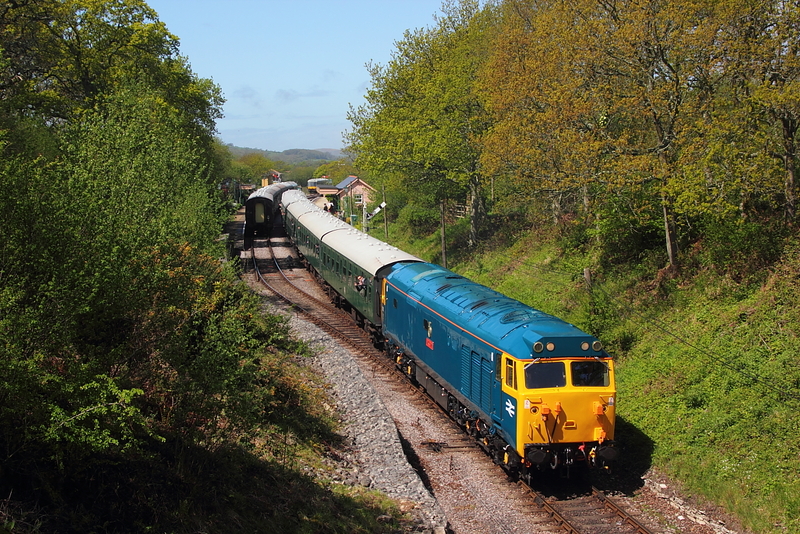 50049"Deffiance" 2N18 14.30 Swanage to Norden. 50027"Lion" nears its destination working the 12.00 Alton to Alresford service. On its first running day, after arrival at the Mid-Hants Railway,50027"Lion" passes near Medstead on the 09.30 Alresford to Alton service still in its NSE livery. 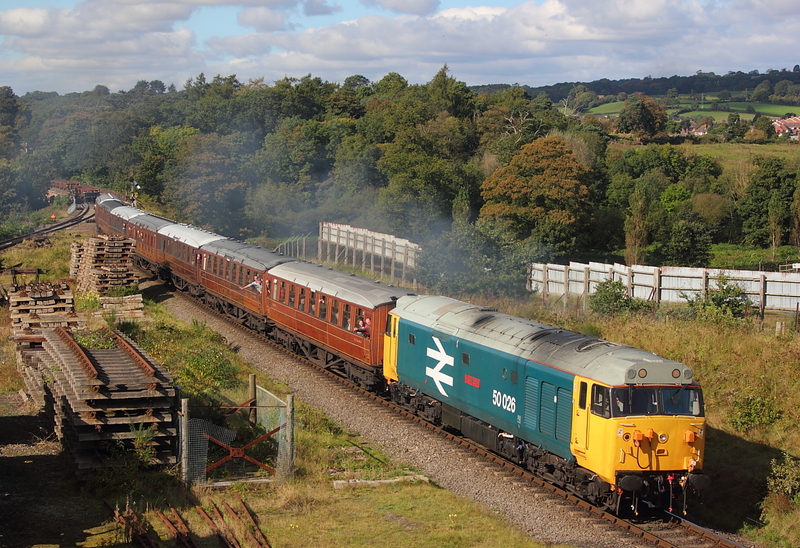 07/10/12 Severn Valley Railway's Diesel Gala,Bewdley South. 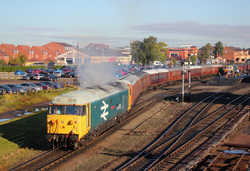 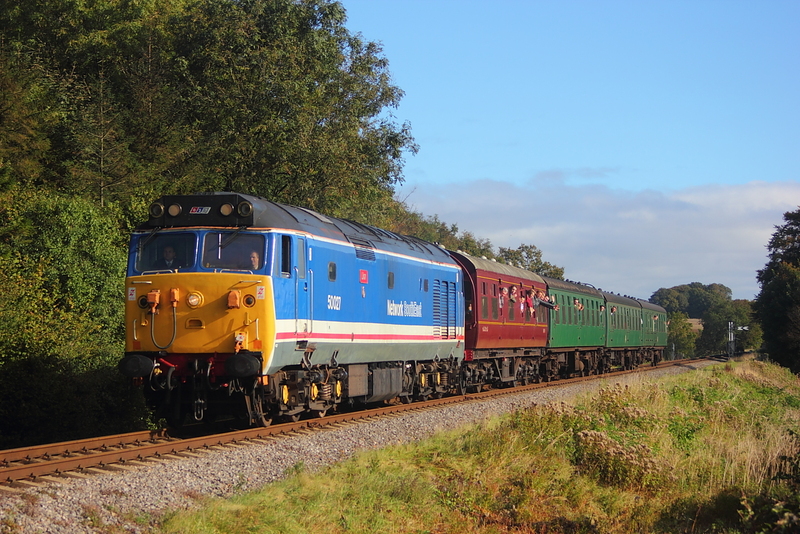 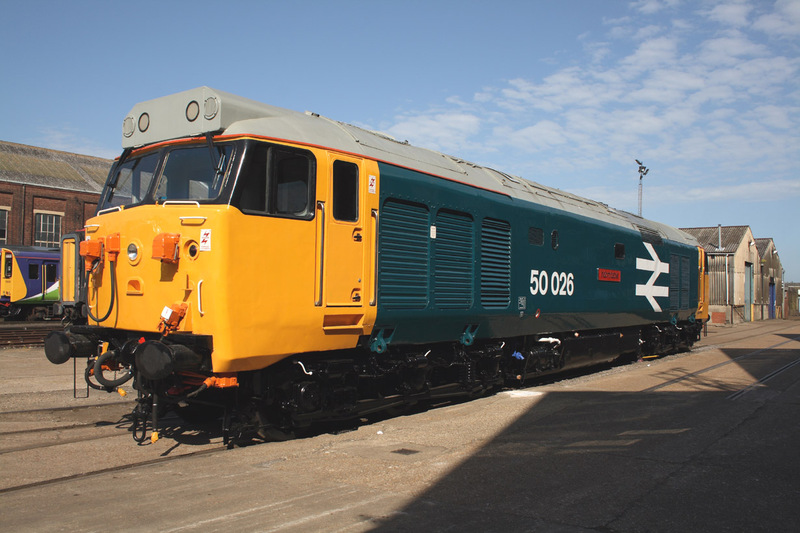 50026"Indomitable"ECS forming the 10.35 service to Bridgenorth. 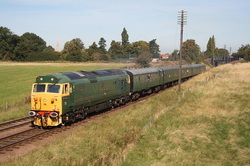 50007"Sir Edward Elgar" 2A10..11.00 Loughborough to Leicester North. 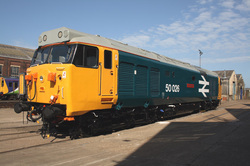 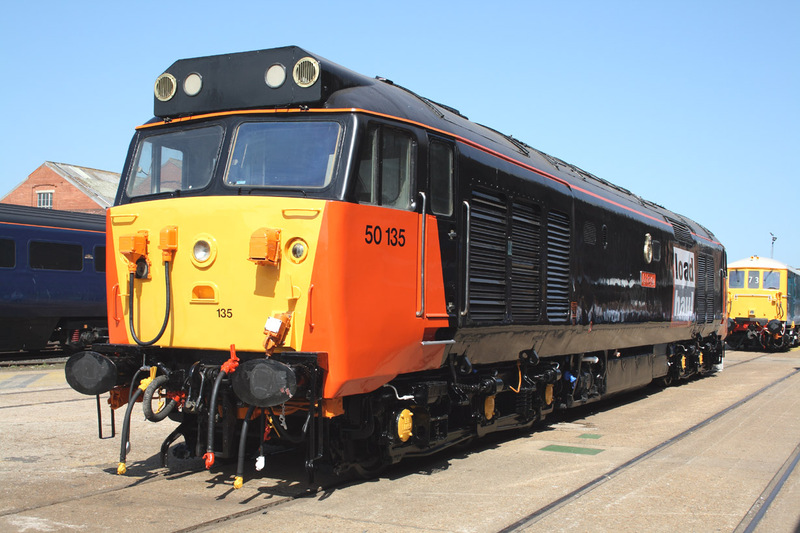 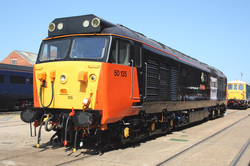 50135"Ark Royal" in Loadhaul livery.